Here is a list of frequently asked questions posed by our clients and potential customers. 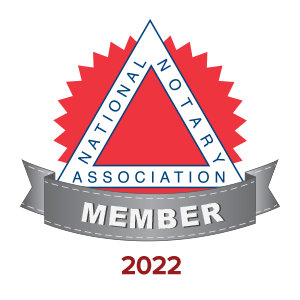 If you have a question not seen here, please email me at michael@925notary.com and I will respond ASAP. Click the questions below to see answers. A Notary Public is an official of integrity appointed by state government – typically by the secretary of state – to serve the public as an impartial witness in performing a variety of official fraud-deterrent acts related to the signing of important documents. These official acts are called notarizations, or notarial acts. Notaries are publicly commissioned as "ministerial" officials, meaning that they are expected to follow written rules without the exercise of significant personal discretion, as would otherwise be the case with a "judicial" official. 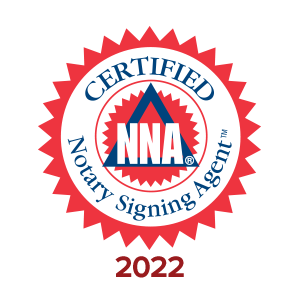 A Notary's duty is to screen the signers of important documents – such as property deeds, wills, and powers of attorney – for their true identity, their willingness to sign without duress or intimidation, and their awareness of the contents of the document or transaction. Some notarizations also require the Notary to put the signer under an oath, declaring under penalty of perjury that the information contained in a document is true and correct. Impartiality is the foundation of the Notary's public trust. They are duty-bound not to act in situations where they have a personal interest. The public trusts that the Notary's screening tasks have not been corrupted by self-interest. And impartiality dictates that a Notary never refuses to serve a person due to race, nationality, religion, politics, sexual orientation or status as a non-resident. As official representatives of the state, Notaries Public certify the proper execution of many of the life-changing documents of private citizens – whether those diverse transactions convey real estate, grant powers of attorney, establish a prenuptial agreement, or perform the multitude of other activities that enable our civil society to function. Can you provide legal or financial advice? Our standard fee is $15 per notarized signature. For example, if you have one document with two signers, the fee would be $20. Additionally, we charge a modest mobile fee to cover our travel expenses to come to your home or office. Do you have an office/retail location? 925 Notary is a mobile notary service. Wherever you need us to come, we offer you the convenience and flexibility to have your documents notarized at a time and place that is best for you. Can you perform an apostille? Only the California Secretary of State provides authentication of notary public signatures on documents to be used outside the United States of America. The country of destination determines whether the authentication is an Apostille or Certification. Will you notarize my Birth Certificate? A notary public only verifies the identity of the individual(s) who sign a document, and not the truthfulness, accuracy, or validity of that document. As such a notary cannot notarize documents such as a Birth Certificate or Marriage License. Are your hours of operation really 24/7? In a word, YES! We have had many clients who have had an emergency situation where they have needed a notary late at night, and even in the middle of the night. And if we have always responded. Can you notarize a document written in a language other than English? Yes. As a notary only verifies the identity of the individual(s) who are signing a document, it is not necessary that a notary understand the document. It is necessary, though, that a notary be able to communicate with the signer(s) and confirm that they understand the contents of the document(s) they are signing. Will you notarize a federal I-9 form? The California Secretary of State has ruled that a notary public may not perform a notarial act on this form as the I-9 form does not comply with the requirements for information needed.